Zoe Hollingsworth, a Support Line Operator at Norwich Mind, writes. Hugo Maximillian Metcalfe’s letter ‘Hearing the hidden hashtags’ (December 2017) discussed how young people on social media are frequently using hashtags such as #Ana and #Sue to become involved in conversations surrounding topics such as eating disorders and suicide. Hugo rightly raises concerns around why these discussions are taking place on these forums, and how to reach out to the people taking part. When I was a teenager, I suffered with poor mental health and took to social media to voice my feelings, so I speak from experience. I believe people do this for a multitude of reasons: some people may find it easier to type what they are feeling as opposed to speaking about it; others may not know where or how to access support and using these hashtags is a way of reaching out for help. Whatever the reason for someone to partake in discussion, I believe it is positive. All mental health workers and psychologists promote breaking the silence and starting a conversation; the young people have started the conversation, and it is our role as professionals to continue it and to try and help. Hugo questions how it would be best to support the people posting with these hashtags, and touches on ‘speaking the language young people’ – I believe in this instance, age is irrelevant and language doesn’t need to be adjusted. If you see a see a tweet, or post on social media from someone feeling suicidal, it isn’t necessary to create a reply in professional or ‘young language’, just as one person helping another. Suggesting a trip to the GP, copying the Samaritans number, or even a word of kindness from a stranger might be enough to give someone the ounce of hope or courage they need, and the provision of information of where to get help. For us as mental health professionals, it is frustrating to be unable to help everyone we wish to help, but as regular members of the public, and helping others we come across where we can, it is a small yet major stepping stone to helping more people. 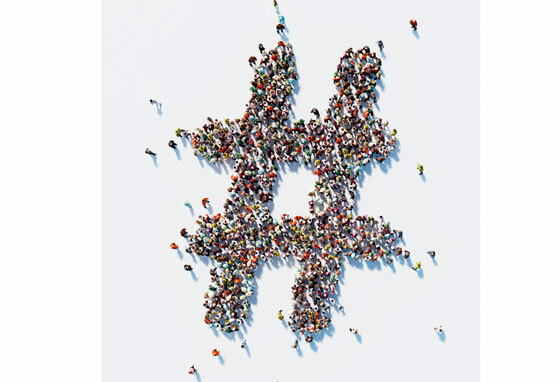 In addition to helping people in daily life, it is crucial to consider how as professionals we can help young people posting online using these hashtags, an area that, as Hugo also suggests, needs to be researched in much more depth. Perhaps one way of starting to combat this is for mental health organisations and charities to have social media support accounts, responding to posts using these hashtags? Social media is swiftly blamed for a rise in young people’s poor mental health, but it could also be used as a major tool to help combat it.